CHICAGO – LaSalle Network, a national staffing, recruiting and culture firm, published its annual report on what the upcoming graduating class wants in a job and company. The report, “What the Class of 2018 Wants,” highlights original data collected by LaSalle Network from a survey of more than 3,000 2018 college graduates on the top characteristics they are seeking in a role and company as they cross the stage and enter the jobs market. Opportunity for growth remains a top factor for graduates when evaluating potential roles. This year, 76 percent of recent grads stated opportunity for growth is their most important factor in evaluating a role. In 2017, 70 percent of graduates ranked opportunity for growth as the most important factor, and in 2016, recent grads also ranked opportunity for growth as their top priority. The other top factors for 2018 grads include team culture and compensation. Work-life balance, which was ranked among the top three factors for 2017 grads wasn't among the top factors for this year's graduating class. 81 percent of 2018 graduates started looking for jobs three to nine months before graduation, which is in line with survey data from the past two years of graduates starting the job search early. However, only 14 percent of 2018 respondents have accepted their first position out of college. Networking (80 percent) is the most popular job-searching source for 2018 grads, followed by job boards, university career centers and social media, which was a large increase from the previous year. Last year, 67 percent of students cited networking as a resource. Among respondents, 64 percent stated company culture is the most important factor when deciding what company to work for, and 62 percent stated compensation was the most important factor. In contrast, 2017 recent graduates ranked compensation over company culture. Ninety percent of employed 2018 grads will be making what they expected or more compared to 83 percent in 2017. For more information on LaSalle Network, please visit lasallenetwork.com or contact Heather Youkhana at 312-496-6562 or hyoukhana@lasallenetwork.com. LaSalle Network is a national staffing, recruiting and culture firm with business units that specialize in accounting and finance, administrative, call center, healthcare revenue cycle, human resources, management resources, marketing, sales, supply chain, technology and executive search. Since inception in 1998, LaSalle has worked with thousands of clients and placed thousands of candidates in temporary, temporary-to-permanent and permanent positions. Its newest offering, Culture 20/20, works with companies of all sizes and industries to help them focus on what matters: Culture. Performance. Results. 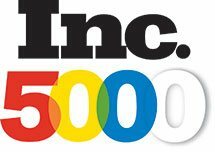 LaSalle Network has been listed on Inc. Magazine’s 500/5000 “Fastest Growing Privately Held Companies in America” list for 11 consecutive years, named by Staffing Industry Analysts as a top five “Best Staffing Firms to Work For” from 2011 to 2017, Glassdoor’s 2016 “Best Places to Work,” Inc. Magazine’s 2016 “50 Best Workplaces,” Forbes’ 2018 "America’s Best Professional Recruiting Firms" list, and Crain’s Chicago Business’ “Best Places to Work” list from 2014 to 2018. The firm has offices in downtown Chicago, Nashville, Oak Brook and Schaumburg. For more information, please call 312-419-1700 or visit www.lasallenetwork.com. LaSalle Network Publishes White Paper "Building a Great Company Culture"